The Colorado teen accused of brutally murdering 10-year-old Jessica Ridgeway makes his first court appearance. NBC's Chris Clackum reports. Updated at 1:01 p.m. ET: A Colorado teenager has confessed to the abduction and killing of a 10-year-old girl and in a separate attack on a runner, prosecutors said Thursday. Austin Reed Sigg, 17, made his first court appearance Thursday in the death of Jessica Ridgeway and an assault on a 22-year-old female runner in May. Authorities said Thursday they have "overwhelming" DNA evidence against Sigg. Sigg lived about a mile from Jessica Ridgeway, who disappeared Oct. 5 while walking to school in Westminster, a suburb northwest of Denver. Her body, which police said was "not intact," was found five days later in a park in Arvada, about 9 miles from her home. Sigg made his first court appearance Thursday, shackled in a turquoise jumpsuit. He kept his head bowed for much of the time and asked only one question during the hearing, which was for clarification on his rights as a defendant. The judge told Sigg to consult with his attorneys for clarification, which he briefly did, then nodded to the judge to apparently indicate that he understood. In arguing to deny bail to Sigg, Jefferson County Deputy District Attorney Hal Sargent said that investigators have obtained "a confession and DNA evidence." "The evidence is overwhelming," he said. A police custody report released on Wednesday said Sigg waived his right to counsel when investigators first spoke to him, in another indication he might have discussed the crimes. During the hearing, Sigg made eye contact at one point with relatives of Ridgeway, who were in the courtroom wearing purple ribbons in the girl's memory. 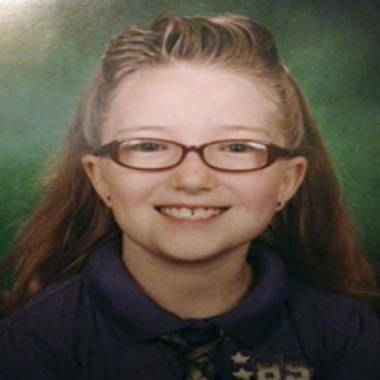 Jessica Ridgeway went missing on her way to school on Oct. 5, 2012. Sigg's mother cried on and off during the proceeding, which lasted about 35 minutes. Security was tight, with 14 armed deputies in court. The judge ordered the teen to be held without bond and set the next court hearing for Tuesday. Sigg is being held on suspicion of first-degree murder, felony murder and kidnapping in Jessica's case, and with criminal attempt to kidnap and murder in a Memorial Day attack on a jogger at Ketner Lake. District Attorney Scott Storey said the law prevents prosecutors from seeking the death penalty because Sigg is a juvenile, even though he is being prosecuted as an adult. Police in the Denver suburb of Westminster said they took Sigg into custody Tuesday night after receiving a phone call, apparently from his mother, that led them to Sigg. Reached by phone, Sigg's mother told The Associated Press he turned himself in. "I made the phone call, and he turned himself in. That's all I have to say," said Mindy Sigg, before she broke down in tears and hung up. Authorities said Sigg, who is a student at Arapahoe Community College, also will face charges in the May 28 attempted kidnapping of the 22-year-old runner at the Ketner Lake Open Space. Police have said the two crimes are connected but haven't elaborated. In the May case, a woman fought off a stranger who grabbed her from behind and put a rag that smelled of chemicals over her mouth, authorities said. Police haven't determined if the substance on the rag was meant to subdue the woman. Authorities have released few details about their investigation, and court documents have been sealed. A police custody report said Sigg was cooperative when he was arrested and waived his rights. Acquaintances have said Sigg was interested in mortuary science and forensic science, often wore black and hung out in the high school cafeteria's "goth corner." Sigg had attended Witt Elementary, but he moved on to middle school in 2007, before Jessica enrolled at Witt, Jefferson County Public Schools spokeswoman Lynn Setzer said. Sigg later attended Standley Lake High School while also taking classes at Warren Tech, a district school that offers specialized training in health science, public safety, technology and other fields. He left the school district in July after finishing the 11th grade and later earned a GED. School officials don't know why he left. Arapahoe Community College officials confirmed Sigg is enrolled there but wouldn't release other details. Sigg's ex-girlfriend told 9NEWS.com Sigg having a hard time coming to grips with what he is accused of. "The Austin I knew would never have done anything like that," the ex-girlfriend, who the TV station identified only as "Danni," said. "He was my first boyfriend. He was my first kiss. He was my first date." She said she doesn't remember any warning signs, but said Sigg did have a collection of weapons. "I knew he had a sword collection in his room or a knife collection or whatever. But it was his man cave. A lot of people collect stuff," Danni said, according to 9NEWS.com. The Associated Press, Reuters and NBC producer Kevin Watters contributed to this story.